We offer a wide range of services. Look through our options below and see what we can do for you! Making a decision to change your lifestyle is rarely as easy as popping a pill or swearing off desserts. Lifestyle change is a commitment to you. It takes discipline, motivation, and a goal that is capable of being achieved and maintained. Paying this much attention to lifestyle surpasses a meal or exercise plan. Whether you are looking to lose weight, develop new eating and exercise habits, overcome emotional eating, compete in your first bodybuilding competition, run your first marathon, improve your max lift at a power-lifting competition, or get the physical edge in your chosen sport, Case Specific Nutrition can help you reach your goals, and make sure you are feeding your body what it needs! Having a partner keep you accountable to your goals can be very effective. As Registered Dietitians, we recognize and encourage building personal relationships around the healthy lifestyle changes you are making. If you’re considering a consultation, why not bring your significant other! We also encourage family consultations, and friends with similar goals to pair up and meet. Not only does this create an open-discussion style consultation, it creates a much more relaxing learning environment. One of the foundation services we provide to those who are interested. Our custom Meal Plans include a 1-day of sample meals with calorie, fat, protein, and carbohydrate breakdown, as well as an exchange list. If you want a nutrition plan personalized to your meal preferences, daily schedule, supplement regimen and medical history, No problem! At Case Specific Nutrition we know and understand that one size DOES NOT fit all. Our services are focused on creating a plan to help you meet your goals. We work with patients from all over the United States! Coverage for Telephonic and Online services are limited through insurance, so most often these services will be out of pocket. Cost of services depends on reason for visit, frequency of follow-ups and other accountability measures we determine upon initial discussion. You can read more about this service here. We use this for those who are struggling with weight loss, and have tried various approaches to lifestyle change. This helps us better identify the balance of macro and micro nutrients, as well as make recommendations on the exercise that will have the largest effect on fat loss, blood sugar control, and cholesterol levels! The cost is $350 for a test, and the test is completed in house. We work with Spectracell, a company that makes it easy for Dietitians to order labs for their patients. The panel is a complete micronutrient panel including major vitamins, minerals, and fatty acids. They accept all insurances, and the typical cost to them is $190 after insurance. Compared to a single B12 or Vit D lab, it is quite the discounted price. We use this for those who are at risk of malabsorbing, those with a history of deficiency, and those plain interested in seeing where they are! There are draw clinics all around the city, making it easy to schedule and get the results. If you have read any of our articles or posts, I bet you can tell we love to talk! (and type). We perform food demonstrations as well as lectures, ‘Ask the Dietitian’ events, and discussion based presentations. We cover a wide variety of topics, so email us with your area of interest! Common Lunch & Learn topics offered include Heart Health, Fat Loss, Health Lifestyle, and Eating out and Eating on a Budget. 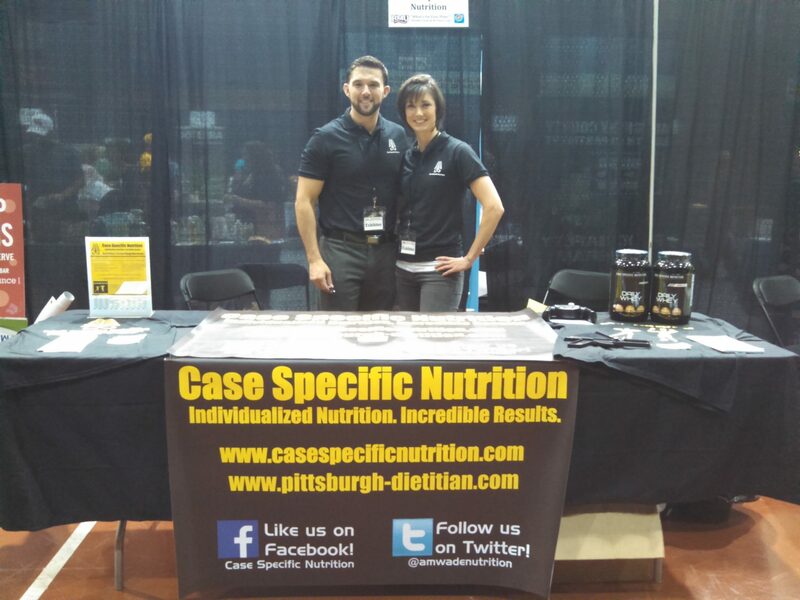 Join the Case Specific Nutrition Family Today! ‘Like Us’ on Facebook to stay updated on all of our latest products and services!